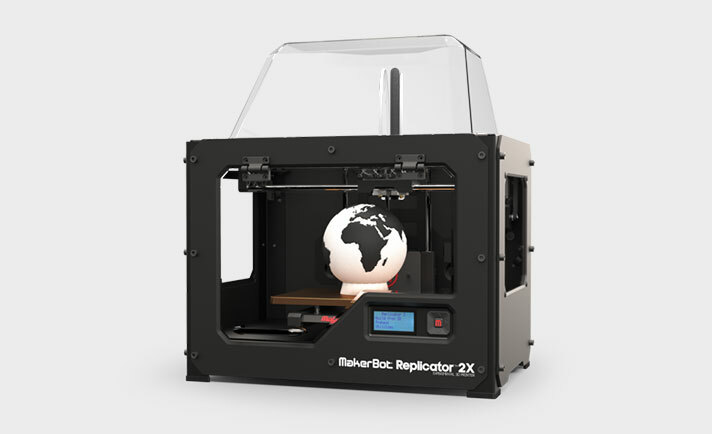 The Makerbot Replicator 2X has two extruders and an enclosed print bed for increased design options. Both extruders can be used in one print job to print objects with two colors, or, using dissolvable filament, to print supports that can be dissolved. Jobs are sent to this printer via an SD card or USB connection. The two machines use different types of software. Prepare files for printing on the MakerBot Replicator+ machine using the free MakerBot Print software. For the Replicator 2X, the required software is MakerBot Desktop. 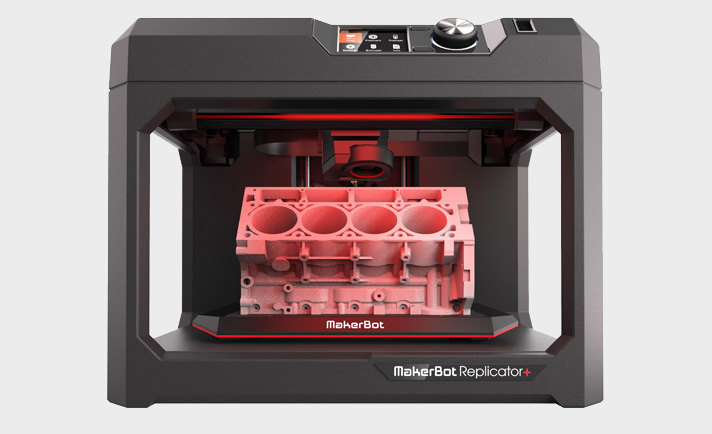 The MakerBot Replicator+ is an improved version of the previous Replicator. This model comes with an improved extruder, which has fewer errors. The Replicator+ comes with an onboard camera, which allows users to monitor print jobs remotely with MakerBot Print software. Jobs can be printed with SD, USB, or over a Wifi or Network connection.